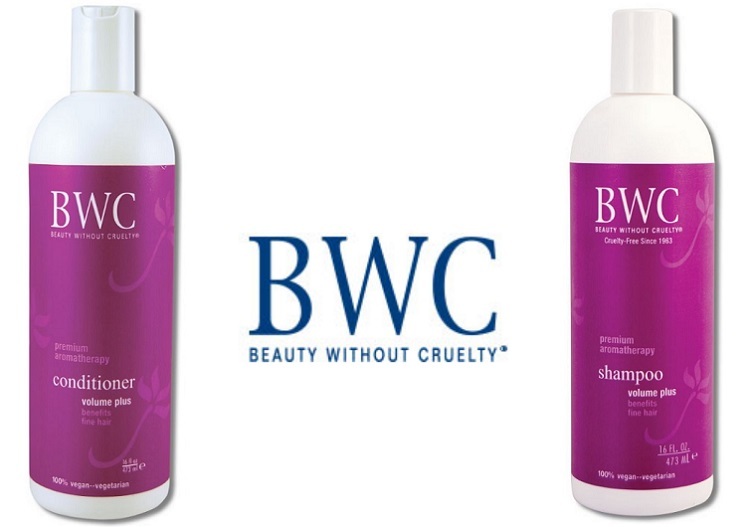 BWC Volume Plus Shampoo: a gentle, plant-based formula for fine, flat, thinning hair that thoroughly cleans while adding volume, fullness, and body. Natures conditioning jojoba and penetrating plant proteins combined with panthenol and biotin, strengthen and protect each hair strand. Special botanicals, vitamins, and pure premium aroma-therapeutic essential oils improve your hairs look and texture. Your hair will feel naturally thicker and fuller. Gentle enough for daily use. We are pleased to have BWC Volume Plus Shampoo and Conditioner in the VIP Goodie Bag at the Chicago Artisan Market on Sunday, July 22, 2018. To learn more about Beauty Without Cruelty, please visit their website. In 1963, Beauty Without Cruelty was founded in England by the trustees of BWC Charitable Trust, an animal welfare organization. Its goal was to manufacture and distribute natural, color cosmetics that were NOT tested on animals (as was the norm) and did NOT contain any animal ingredients. The driving force behind the project was Katherine Long, a dedicated, life-long animal welfare activist, a cosmetician and a vegetarian. After Katherine’s death in 1969, Beauty Without Cruelty almost closed its doors but Lady Dowding was determined to keep the company and its purpose alive and helped develop BWC into one of the most sought-after cosmetic brands in Great Britain. In 1989, Beauty Without Cruelty was introduced in the United States. Based on the principles of high quality, fair pricing and environmental sensitivity, BWC cosmetics and skin care quickly became one of the industry’s leading brands. Today, Beauty Without Cruelty has a full line of cruelty-free, skin, body and hair care products made with the finest ingredients and premium aroma-therapeutic essential oils, and a full line of color cosmetics to meet the needs of every woman.